Growing numbers of scientists have asserted that our planet might soon see a sixth massive extinction — one driven by the escalating impacts of humanity. Mass extinctions involve a catastrophic loss of biodiversity, but what many people fail to appreciate is just what “biodiversity” means. A shorthand way of talking about biodiversity is simply to count species. For instance, if a species goes extinct without being replaced, then we are losing biodiversity. But there’s much more to biodiversity than just species. Within each species there usually are substantial amounts of genetic, demographic, behavioural and geographic variation. Much of this variation involves adaptations to local environmental conditions, increasing the biological fitness of the individual organism and its population. Natural variation within two species of sea snails. Upper row: Littorina sitkana. Lower row: Littorina obtusata. Copyright David Reid/Ray Society. And there’s also an enormous amount of biodiversity that involves interactions among different species and their physical environment. Many plants rely on animals for pollination and seed dispersal. Competing species adapt to one another, as do predators and their prey. Pathogens and their hosts also interact and evolve together, sometimes with remarkable speed, whereas our internal digestive systems host trillions of helpful, benign or malicious microbes. Hence, ecosystems themselves are a mélange of different species that are continually competing, combating, cooperating, hiding, fooling, cheating, robbing and consuming one another in a mind-boggling variety of ways. All of this, then, is biodiversity - from genes to ecosystems and everything in between. 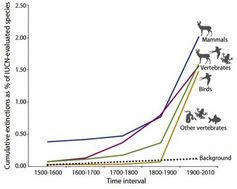 Cumulative vertebrate species extinctions since 1500 compared to the ‘background’ rate of species losses. G. Ceballos et al. (2015) Scientific Advances. No matter how you measure it, a mass extinction has arrived. A 2015 study that one of us (Ehrlich) coauthored used conservative assumptions to estimate the natural, or background rate of species extinctions for various groups of vertebrates. The study then compared these background rates to the pace of species losses since the beginning of the 20th century. Even assuming conservatively high background rates, species have been disappearing far faster than before. Since 1900, reptiles are vanishing 24 times faster, birds 34 times faster, mammals and fishes about 55 times faster, and amphibians 100 times faster than they have in the past. For all vertebrate groups together, the average rate of species loss is 53 times higher than the background rate. 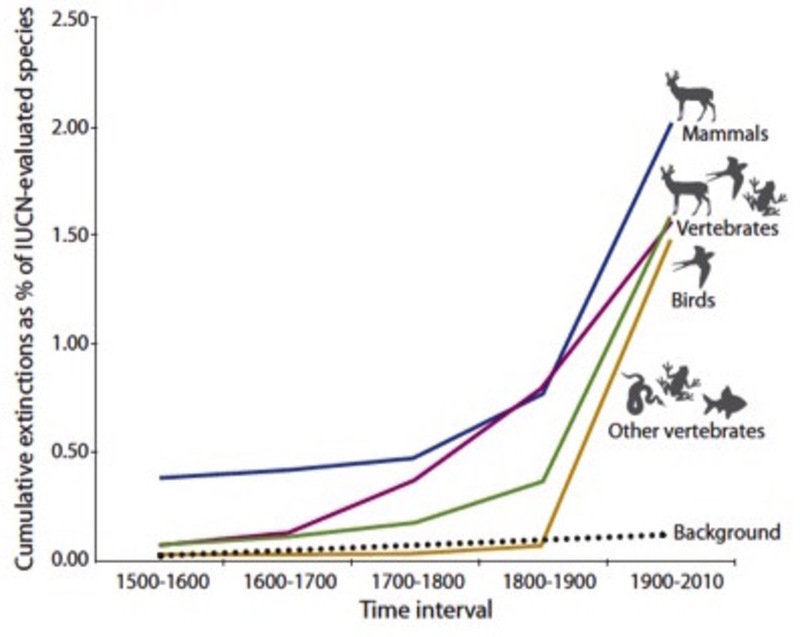 To make matters worse, these modern extinctions ignore the many human-caused species losses before 1900. It has been estimated, for instance, that Polynesians wiped out around 1,800 species of endemic island birds as they colonised the Pacific over the past two millennia. And long before then, early human hunter-gatherers drove a blitzkrieg of species extinctions — especially of megafauna such as mastodons, moas, elephant birds and giant ground sloths — as they migrated from Africa to the other continents. In Australia, for instance, the arrival of humans at least 50,000 years ago was soon followed by the disappearance of massive goannas and pythons, predatory kangaroos, the marsupial “lion”, and the hippo-sized Diprotodon among others. 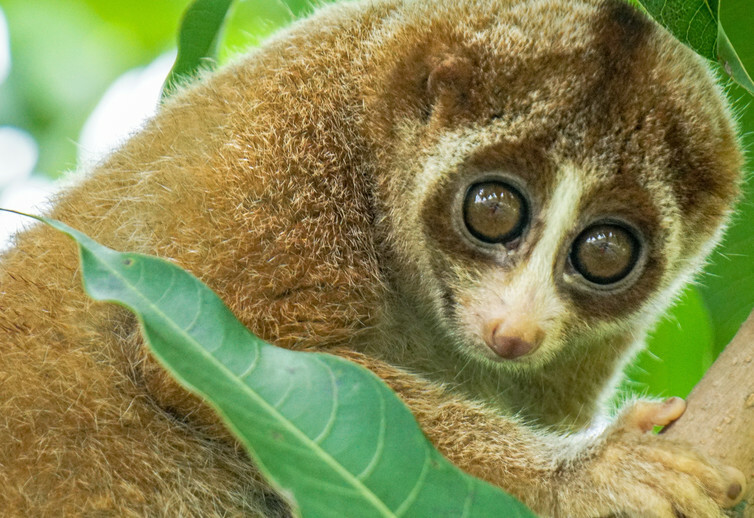 Changes in climate could have contributed, but humans with their hunting and fires were almost certainly the death knell for many of these species. As a result of these pre-1900 extinctions, most ecosystems worldwide went through an “extinction filter”: the most vulnerable species vanished, leaving relatively more resilient or less conspicuous species behind. 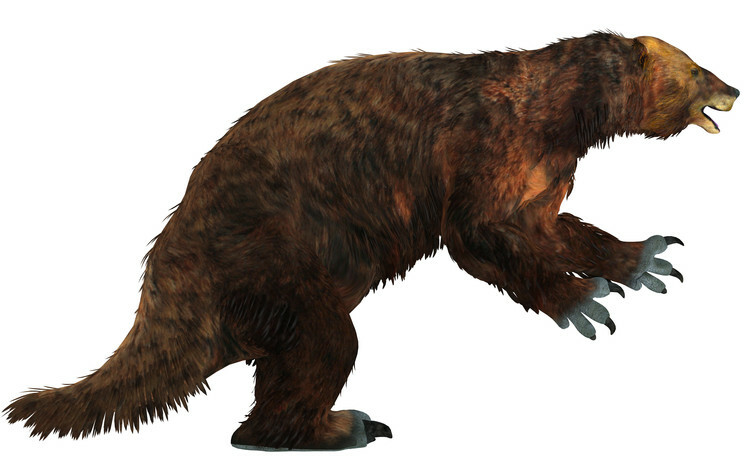 Giant ground sloths such as this elephant-sized Megatherium vanished soon after humans arrived in the New World. Copyright Catmando. And it’s the loss of these survivors that we are seeing now. The tally of all species driven to extinction by humans from prehistory to today would be far greater than many people realise. The sixth great extinction is playing out in other ways too, especially in the widespread annihilation of millions (perhaps billions) of animal and plant populations. Just as species can go extinct, so can their individual populations, reducing both the genetic diversity and long-term survival prospects of the species. For example, the Asian two-horned rhinoceros once ranged widely across Southeast Asia and Indochina. Today it survives only in tiny pockets comprising perhaps 3% of its original geographic range. 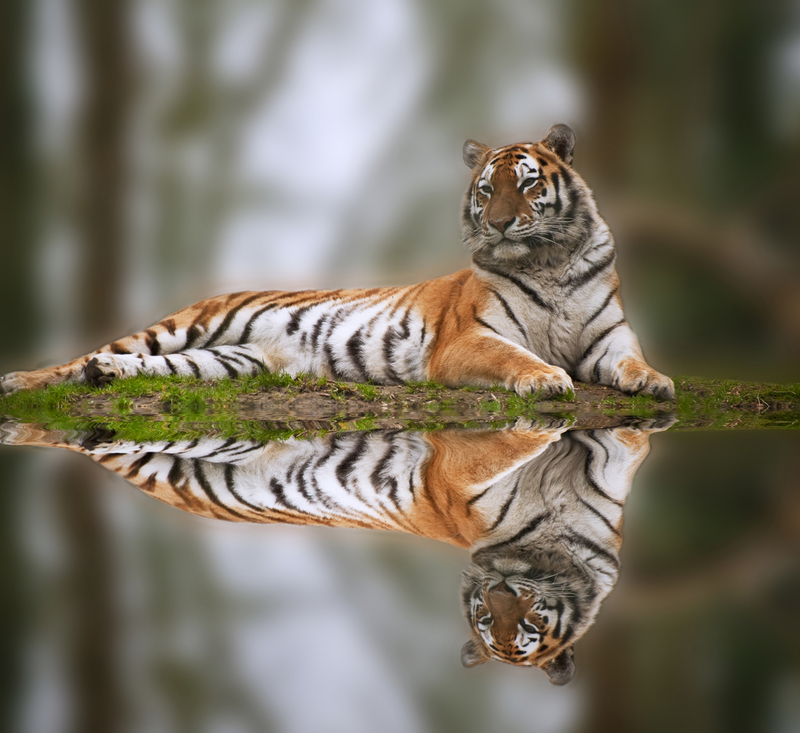 Three-quarters of the world’s largest carnivores, including big cats, bears, otters and wolves, are declining in number. Half of these species have lost at least 50% of their former range. Likewise, except in certain wilderness areas, populations of large, long-lived trees are falling dramatically in abundance. WWF’s 2016 Living Planet Report summarises long-term trends in over 14,000 populations of more than 3,700 vertebrate species. Its conclusion: in just the last four decades, the population sizes of monitored mammals, birds, fish, amphibians and reptiles have shrunk by an average of 58% worldwide. And as populations of many species collapse, their crucial ecological functions decline with them, potentially creating ripple effects that can alter entire ecosystems. Hence, disappearing species can cease to play an ecological role long before they actually go extinct. Everything we know about conservation biology tells us that species whose populations are in freefall are increasingly vulnerable to extinction. Extinctions rarely happen instantly, but the conspiracy of declining numbers, population fragmentation, inbreeding and reduced genetic variation can lead to a fatal “extinction vortex”. In this sense, our planet is currently accumulating a large extinction debt that must eventually be paid. And we’re not just talking about losing cute animals; human civilisation relies on biodiversity for its very existence. The plants, animals and microorganisms with which we share the Earth supply us with vital ecosystem services. These include regulating the climate, supplying clean water, limiting floods, running nutrient cycles essential to agriculture and forestry, controlling serious crop pests and carriers of diseases, and providing beauty, spiritual and recreational benefits. Are we preaching doom? Far from it. What we’re saying, however, is that life on Earth is ultimately a zero-sum game. Humans cannot keep growing in number and consuming ever more land, water and natural resources and expect all to be well. Limiting harmful climate change has become a catchphrase for battling such maladies. But solutions to the modern extinction crisis must go well beyond this. We also have to move urgently to slow human population growth, reduce overconsumption and overhunting, save remaining wilderness areas, expand and better protect our nature reserves, invest in conserving critically endangered species, and vote for leaders who make these issues a priority. Without decisive action, we are likely to hack off vital limbs of the tree of life that could take millions of years to recover. Paul Ehrlich will present a lecture on the current mass extinction, at James Cook University’s Cairns campus on November 10. Zoo Twilights is back this Summer at Melbourne Zoo, with all proceeds going towards efforts to bring back the Eastern Barred Bandicoot from extinction.